What an amazing #GSPCAPurpleWeek we have had and still many updates to follow from the amazing support, gifts and events that have taken place to help animals in Guernsey. The GSPCA are always asking for feedback on the team and for those kind words we issue Certificates of Appreciation to the team and this evening the first of the 71 certificates were handed out. That’s right an incredible 71 certificates will be issued to GSPCA staff, volunteers, Work to Benefit placements, supporters and amazing helpers all voted by the GSPCA community and supporters. 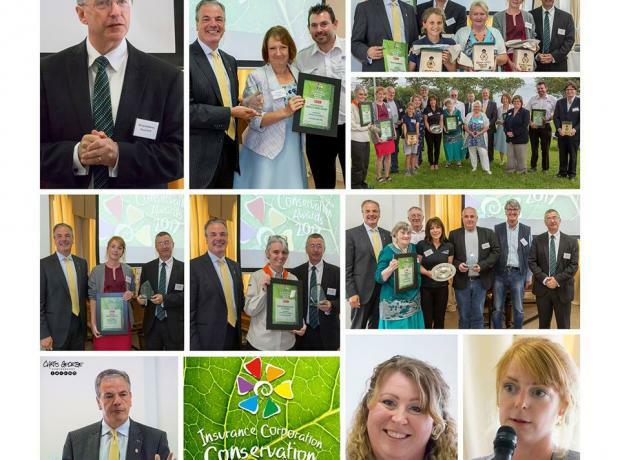 Last night the Guernsey Community Foundation Awards 2018 took place and the GSPCA were there in force with staff, volunteers and linked organisations as an amazing number of categories had GSPCA volunteers or projects as finalists. 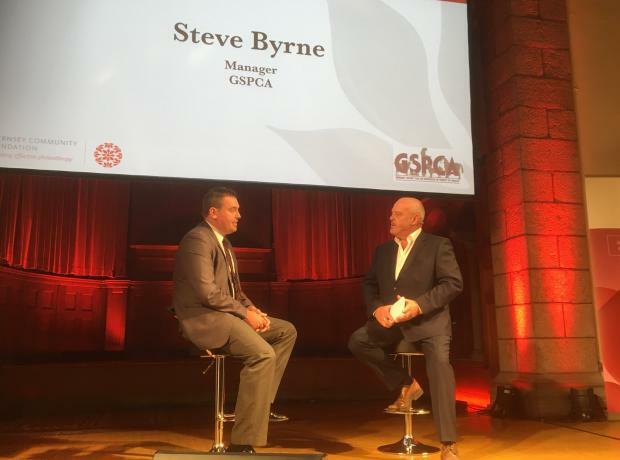 Sadly 2018 wasn’t the year for the GSPCA to win an award but from the key speaker being GSPCA Manager Steve Byrne to the sheer number of links and finalists the GSPCA was heavily mentioned and highlighted at these amazing awards. 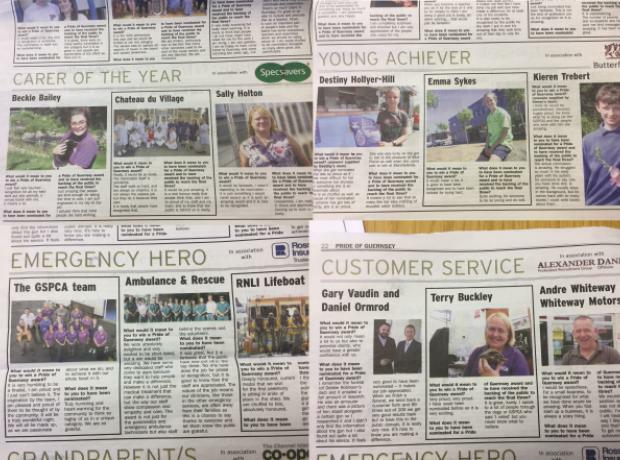 Last year Geoff George our Animal Ambulance Driver won the Emergency Hero Award in the Guernsey Pride Awards and this year we have been humbled and shocked as the GSPCA, two staff and one volunteer are finalists at this years Guernsey Pride Awards. 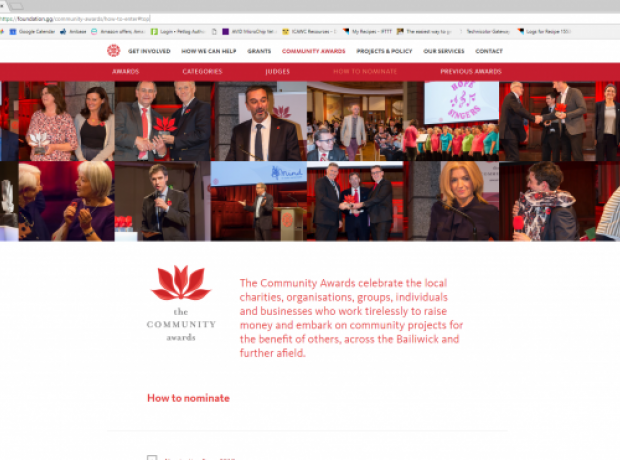 The Guernsey Community Foundation Awards are an amazing way that local charities, businesses and individuals are celebrated each year in the charity sector and the GSPCA have had the pleasure of attending and even winning the Charity of the Year in 2016. Last night nearly 145 years since being founded the GSPCA held their 133rd AGM at the Animal Shelter in St Andrews where we have been based since 1929. With catering kindly supplied by Michelle Champion the members, staff, supporters and those invited enjoyed an evening of celebrations and appointed 4 co-opted committee members since the last AGM. Some of the key moments over the last few years were highlighted as well as remembering those lost to us and thanking the huge array of team and community supporters that help so much and in so many ways. Yesterday the GSPCA and St Andrews Floral Group were invited along to Les Cotils for the Insurance Corporation Conservation Awards. This is the second year our joint project has entered after last year winning the Peter Walpole Peoples Choice Award after our many kind supporters voted for our project. The room was packed with amazing people from organisations or running projects from their gardens helping the biodiversity of the Bailiwick or with plans to do more. The winners of the Ceva Animal Welfare Awards 2017 were announced at a ceremony at the Burlington Hotel in Birmingham last week. The awards recognise the achievements of remarkable people from the farming, veterinary and charity industries, who go beyond the call of duty to better the lives of animals around the world including veterinary and charity professionals, researchers and volunteers. The awards’ ceremony on 5th April was during the run up to BSAVA (British Small Animal Veterinary Association) Congress. 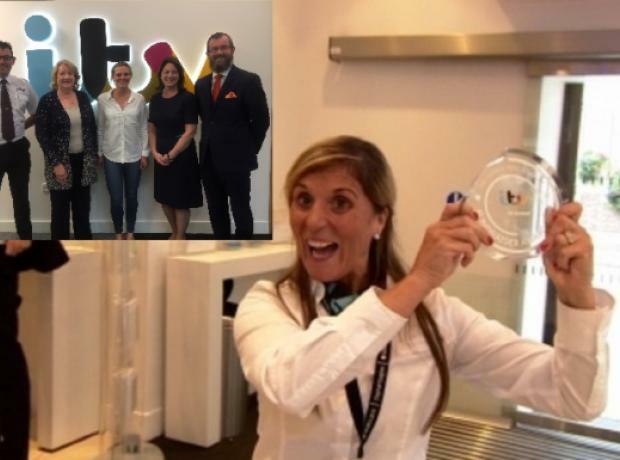 Jersey woman Ana Goncalves has won the regional Daily Mirror ITV Pride of Britain Fundraiser of the Year Award. Recently ITV Channel asked GSPCA Manager Steve Byrne to help judge the finalists from across the Channel Islands and it was no easy task for Steve and the other judges made up of representatives from Channel charities and ITV. With local finalists from across the islands the judges had to decide between many fantastic island fund raisers and individuals that do amazing things for charities across the Channel Islands. 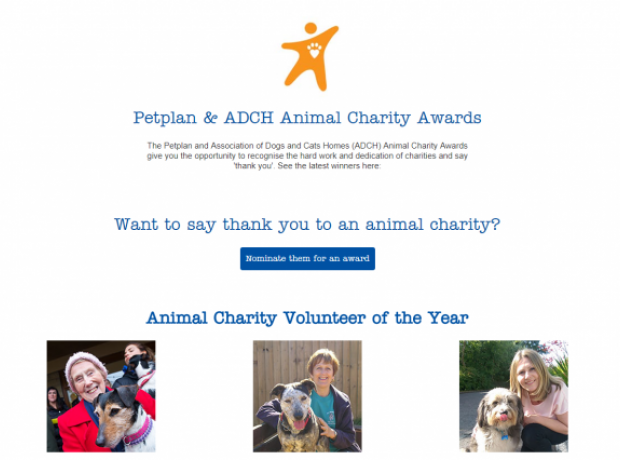 This Christmas could you take a moment to nominate someone or a charity for a national award. It doesn't take long and it is always great to see Guernsey featured for the wonderful work caring people carry out 24 hours 7 days a week.